Hooked on Needles: Central Park Sudoku Quilt ~ Finally Quilted! Central Park Sudoku Quilt ~ Finally Quilted! Do you Sudoku? I do! I love logic puzzles, word searches, crosswords, sudoku puzzles too! 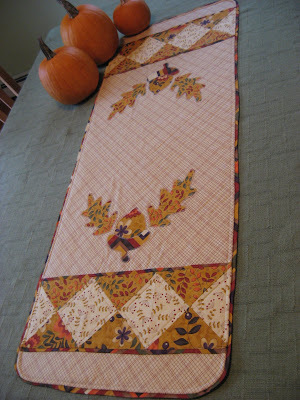 Check out this fun quilt that came off the long arm last week. It's a sudoku puzzle in fabric...Central Park by Kate Spain for Moda in fact! Look it over and make sure I pieced it correctly! 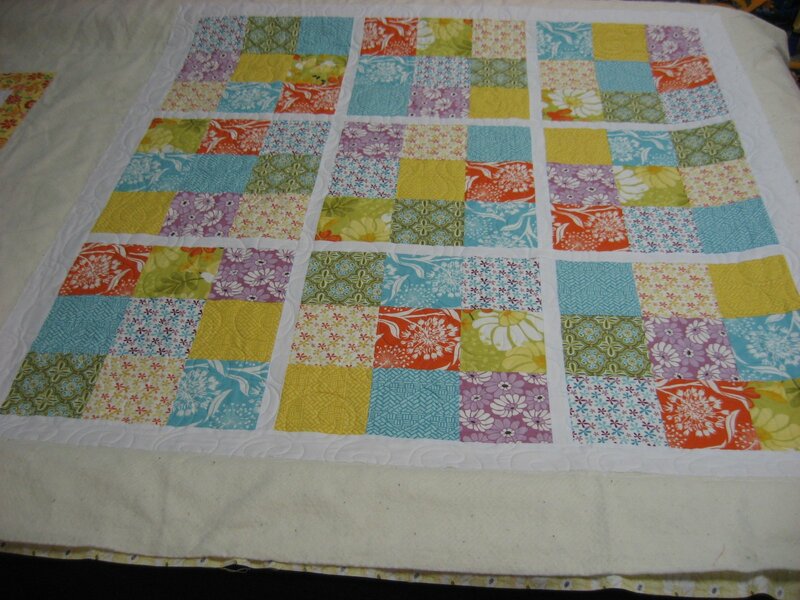 For the quilting pattern, I used the same Bubble design as on the Love U quilt shown HERE. 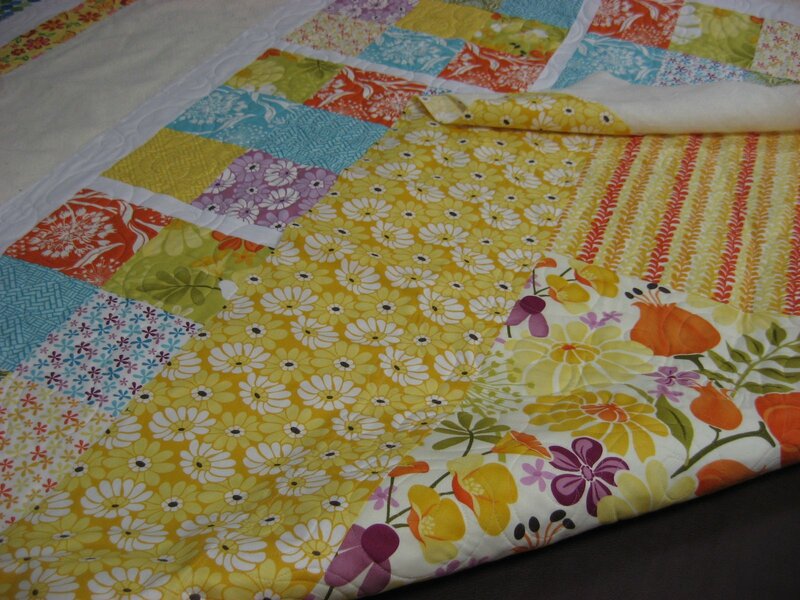 When long arming smaller quilts, it can be very efficient and cost effective to stitch two backings together and load them onto the machine side by side and then quilt them at the same time. 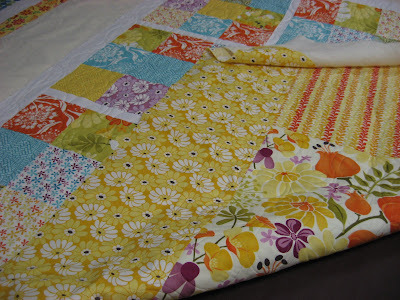 Of course this only works if the same color thread and the same pantograph design will look good on both quilts! In the case of Love U and Central Park Sudoku, it worked and only took about three hours to quilt both of them. 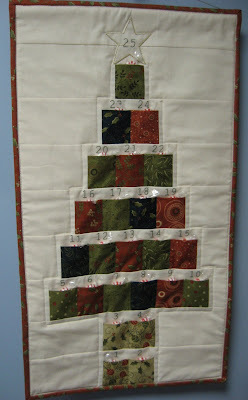 How do you like that pieced backing? The center panel of the backing was such a gorgeous print that I couldn't bring myself to cut it up into smaller pieces, so I just pieced two coordinating prints around it and let it be the star of the backing. I searched long and hard for yardage of that print, and could only come up with barely a half yard! I guess I'm not the only person out there who liked it! 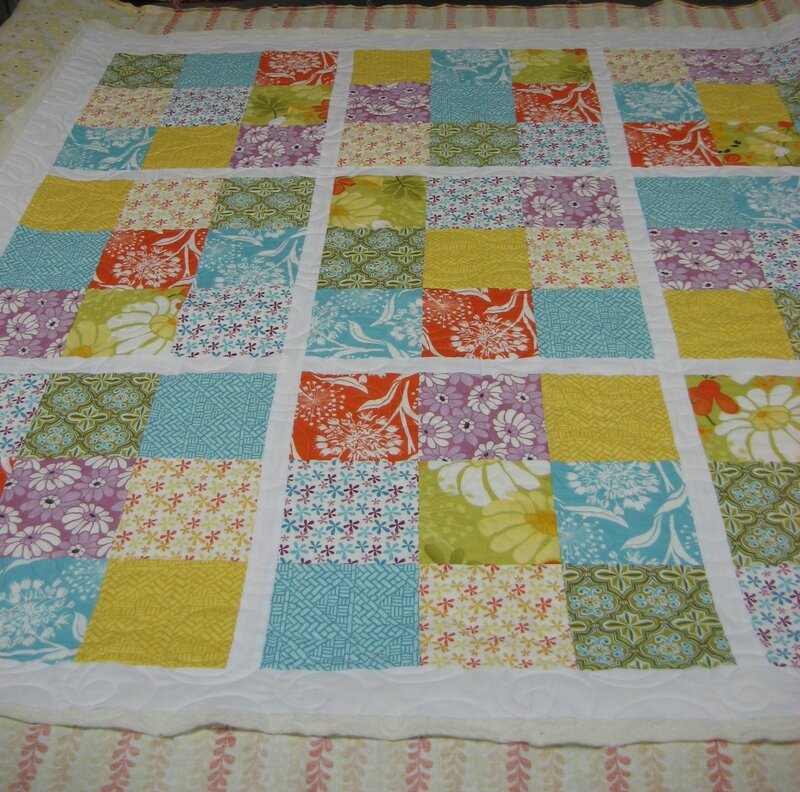 This quilt is now in my binding pile which will be picked at over the summer, then it will be added to my Etsy shop. If you are interested in purchasing this quilt, just let me know and I can put it at the top of the pile and contact you when it is ready to go. If you are not suppose to have the same square in the same place you may have a mistake. check the red block the block on the top right and the block in the second row in the middle both have the red block the same. Hi Grandma Tomato...what a great name! I see what you are saying about that square being in the same location in two different blocks. The rules of sudoku actually allow that. What is not allowed is having the same square, or number in most sudoku puzzles, repeated in the same row, column or block of 9. It is fine if the same number ends up being in the same location in one block of 9 as it is in another. Love U Quilt ~ Finally Quilted! Impromptu Quilt-Along ~ I couldn't resist! New Yarn for Hookie Summer Fun! Fandango Zig Zag Quilt ~ Finally Quilted!